Get answers to all of your questions from our trained team. Can’t find your question here? Give us a call today! Do you provide services for women who are not pregnant? As an Advanced Practice RN, Lenora can see women for their yearly well women visits and pap smears. She can do common problem visits-UTIs, yeast infections, etc as well as birth control, IUDs and STI/STD checks. Do you offer any classes? We have many classes we offer at Birth Center University for pregnant and nonpregnant women as well as family members. What services do you provide for pregnant women? Complete prenatal care for low risk women. This means confirming pregnancy, all of your prenatal visits, the birth, a home visit for you and baby and your care for six weeks after the birth. “Problem visits” such as a visit for a UTI, yeast infection, or other common issue can be taken care of by Lenora since she’s an Advanced Practice Nurse. Classes to prepare all families for birth, no matter where they plan to have their baby or if they plan to use pain medication or not. What qualifies as low risk? There is no exact list, we look at the big picture for each woman. A free consultation with our midwife is the best way to know your status. Our risk assessment tool helps us to clearly evaluate your case. Some risk factors, such as diabetes that has to be controlled with medication, are always best taken care of under an OB’s supervision. Other more minor risk factors are tallied up and those with an acceptable score are still considered low risk. Even if your score is in the moderate range, if the issues are correctable with lifestyle changes or the help of a specialist could help you stay low risk, you may still qualify to birth at the birth center. Do you do ultrasounds and lab work at the birth center? We can do blood work at the birth center since we are in partnership with Quest. Ultrasounds are ordered by our midwife and often done at Clinics of North Texas or other locations based on your insurance coverage. How often do I come in for visits? Our schedule follows the same standard of care as other maternity providers. In the beginning of care your visits will be more spaced out. Typically around 36 weeks visits will be weekly until delivery. What if I need specialized care or if something goes wrong in pregnancy? Midwives are trained to take care of low risk women and therefore they watch closely for signs that you are no longer low risk. Sometimes an issue just needs another set of eyes and your midwife can send you to a specialist for an opinion. If the situation resolves, you can stay in her care. If not, she’ll help you find a good fit with an appropriate provider. Can you do all the testing an OBs office can do? Yes! We have the same access to screenings and tests. We believe in informed consent and will help you navigate which testing is best for your situation. What if something goes wrong in labor? The most common reason for transport is for pain relief. This is not an emergency, so we calmly help the family change birth locations. The most common emergent reasons for transporting are maternal hemorrhage and shoulder dystocia. In a hemorrhage, we first attempt to resolve it the same way a hospital will: medications (Pitocin and Cytotec), IV therapy, uterine massage, etc. If this does not resolve the bleeding, an ambulance is called so the hospital staff can help stop it in surgery. In a shoulder dystocia, the baby’s head is born but the shoulders are trapped. Outside of the hospital, the woman will not be numb from an epidural and can increase the success of dislodging baby by helping to move into other positions. Either of these issues can happen anywhere, as no environment is risk free. What if something goes wrong with the baby? Our midwife is not a risk taker. Her goal is to transport to the hospital (in needed) while mom/baby are in good shape so that the hospital staff has an opportunity to turn the situation around. If baby is stressed during labor and it doesn’t resolve or if baby struggles after birth, the midwife will suggest transport. What steps do you take to provide the safest environment possible for birth? Midwifery care (low intervention) is already known to be the safest way for a baby to come into the world if the mother is low risk. 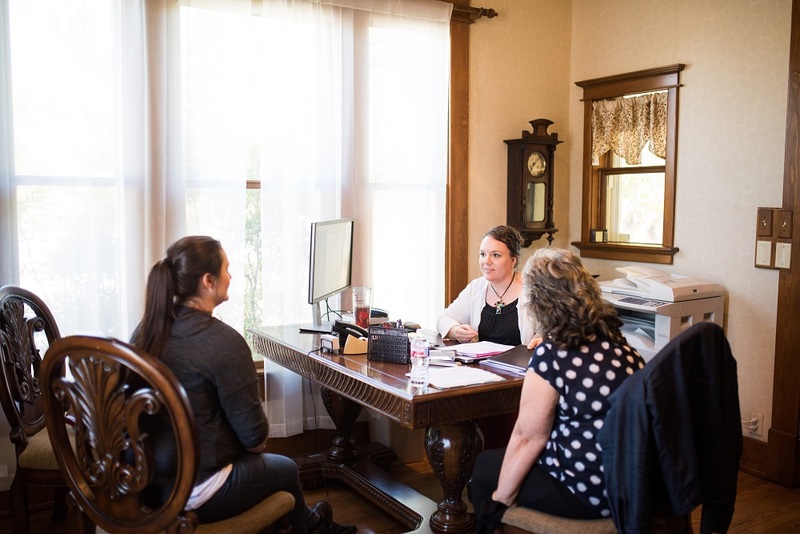 Our facility is licensed by the State of Texas and we’ve obtained accreditation through a rigorous process with the CABC (Commission for the Accreditation of Birth Centers). Our staff is certified by the American Heart Association in Basic Life Support for Healthcare Providers as well as the American Association of Pediatrics Neonatal Rescussiation Program. Our staff participates in emergency drills covering medial, weather, and fire emergencies frequently. Do you do water birth? Yes! Do you do VBACs? Yes! Do you have nitrous oxide? Yes! Do you allow as many people as I want in the room? Yes! Do you allow children in the birth suite? Yes! Do you allow photography? Yes! Do you allow doulas? Yes! We love doulas and can give you some good referrals! Please note that care with us does not automatically include a doula, though our birth assistants give labor support as much as they can (keep in mind they have other duties and may not be called in until you’re well into active labor). Doulas can offer more support during pregnancy, birth and postpartum so we highly encourage families to hire one. May I opt out of (fill in the blank with your item-flu shots in pregnancy, Hep B for your baby at birth, eye ointment, the nasty orange drink, vaginal exams…) Yes! As long as the law allows it, we love it when mothers specialize their care. How much does it cost? The total price (cash) is $6500. If you are paying cash and pay early, there is a $1000 discount given. To get started, a $500 deposit is due at your first appointment. The rest can be paid out in any fashion as long as 50% is paid by 26 weeks and it’s paid in full by 36 weeks. Some services, procedures, and supplies cost extra: ultrasounds, blood work, classes, medications such as vitamins and RhoGam). Some of these may be covered by your insurance. Do you accept insurance? We are now in network with many. common carriers and are working to add more. Since this changes on a weekly basis, please contact us regarding your specific insurance situation. We are able to accept Tricare (Prime requires a referral). We can also help you navigate special requests (a gap exception) to your insurance for in network coverage since we are the only birth center within a 90 mile radius. Do you do home birth? Yes! However, while our volume is low, we have one midwife. If several women are due at once and they are geographically spread out, a birth center birth is the necessary location. At this time, Lenora can not do home births in Oklahoma. Many families from Lawton do travel to the birth center for birth. Contact us if you’re interested in a home birth. I heard Lenora can diagnose tongue ties, is this true? Yes! Lenora can diagnose them and will then refer you to a provider for revision, if needed. Call the office for details. How is your care different? Birth with a midwife is best when trust has been established over the pregnancy. We do this by scheduling long appointments (1-1.5 hours depending on the need) during pregnancy to your midwife can get to know you-the whole you (and your family). Of course if you desire a quicker appointment that is okay too. Decision making is a team effort, with the mother leading the way. Birth itself is also led by the mother and unique to her needs. She need not be placed in the bed and strapped to machines, as mobility and doppler technology allow for monitoring and mobility. How long do we stay after the baby is born? Most families giving birth in the birth center desire to be home soon after birth. We monitor mom and baby for at least four hours and send families home when all are stable, usually after a luxurious herbal bath. The midwife comes to the home for a 24-48 hour home visit and is a phone call away if you have any concerns. What about well woman care? Nurse midwives treat women throughout the lifespan. We’d love to give you personalized, one on one care for annual exams, Pap smears, STD/STI testing, birth control, problem visits such as yeast infections, UTI’s etc. Is chiropractic care available at the birth center? Dr. Guidry sees most patients at her regular office. However, if a mom desires an adjustment in labor and/or to have baby checked after birth she will come on site if available.